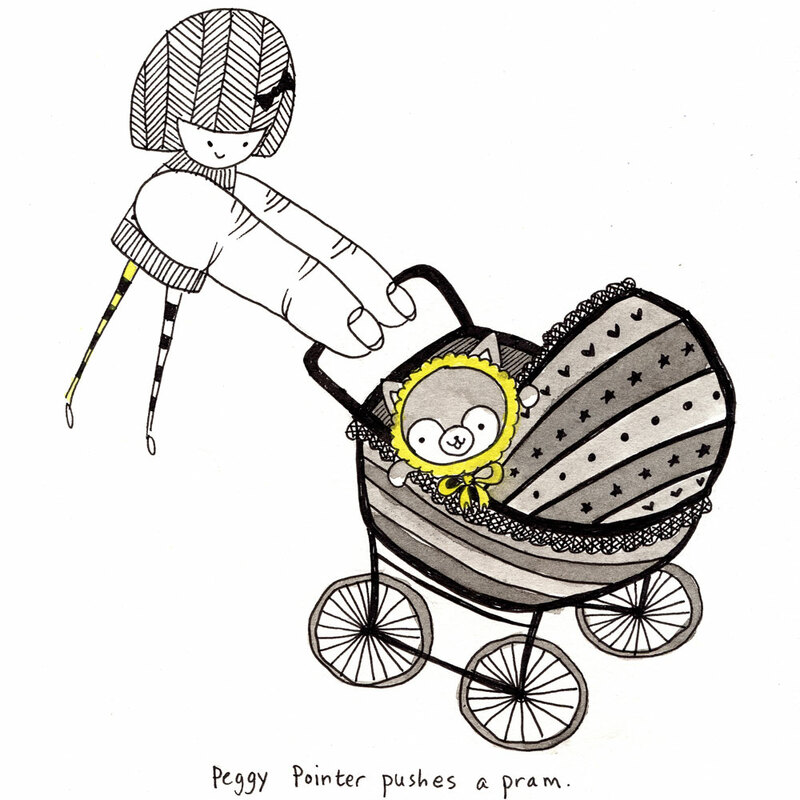 peggy pointer pushes a pram. Previous Previous post: i flew over my handlebars. my knitting saved my life.